What an amazing year 2014 has been! Thank YOU for your support of our books. You rock! Today on New Year’s Eve, come party with us and watch our video where we talk about our favorite moments and what we are looking forward to in 2015. After teaching and traveling internationally, Christina Farley started writing about her adventures, tossing in a little fiction for fun. This inspired her to write GILDED, a YA about a Korean-American girl with a black belt and deadly proclivity with steel-tipped arrows published by Skyscape, March 1, 2014. Besides writing, Christina loves traveling, running, hanging out with her two Jedi warriors, and eating dark chocolate. We’ve debuted and we’re…wait, we’ve really all debuted!!! I feel like I should be saying something more profound, since this will be the last NBN post. It’s been a wild and wonderful year but this will not be the last you hear from the awesome authors who debuted in 2014. This is only the beginning!! So now onto the SUPER DELUXE NOVEMBER/DECEMBER HOLIDAY FAREWELL EDITION of NEXT BOOK NEWS!!! THE GILDED SERIES will be a trilogy! THE GILDED SERIES by Christina Farley will be a trilogy! Announcing book three: BRAZEN to be released on Sept. 29, 2015. All the details can be found on Christina’s blog! Julie Murphy, author of SIDE EFFECTS MAY VARY, sold Australian rights for DUMPLIN’ to Penguin Teen Australia for publication in Australia and New Zealand! DAUGHTER OF DUSK release date! DAUGHTER OF DUSK, the sequel to Livia Blackburne’s MIDNIGHT THIEF, will be released August 4th, 2015! HIDDEN HUNTRESS, the second installment of Danielle L. Jensen’s THE MALEDICTION TRILOGY, will be released June 2, 2015 by Angry Robot Books! REBELLION, the sequel to EXTRACTION by Stephanie Diaz, is now available for request on Netgalley! THE SECRETS OF ATTRACTION available on Edelweiss! THE SECRETS OF ATTRACTION, a companion novel to THE PROMISE OF AMAZING by Robin Constantine, is now available for request on Edelweiss! A GIRL UNDONE release date and optioned for television! A GIRL UNDONE, the sequel to A GIRL CALLED FEARLESS by Catherine Linka, will be released June 23, 2015. Both have been optioned by Universal Cable Productions! THE FORGETTING is a Junior Library Guild selection! Nicole Maggi’s February 2015 release THE FORGETTING is the Junior Library Guild selection for that month! THE FORGETTING is about a girl who receives a heart transplant and starts to remember the life of her donor. For every memory she gains she loses one of her own. A race against time to solve the mystery of her donor’s death leads her into an underbelly of society that she never knew existed. THE FORGETTING will be released on February 3rd from Sourcebooks Fire and received a stellar review from Kirkus! “[T]his book is a powerful call to action…a story worth reading.” Read the full review here! 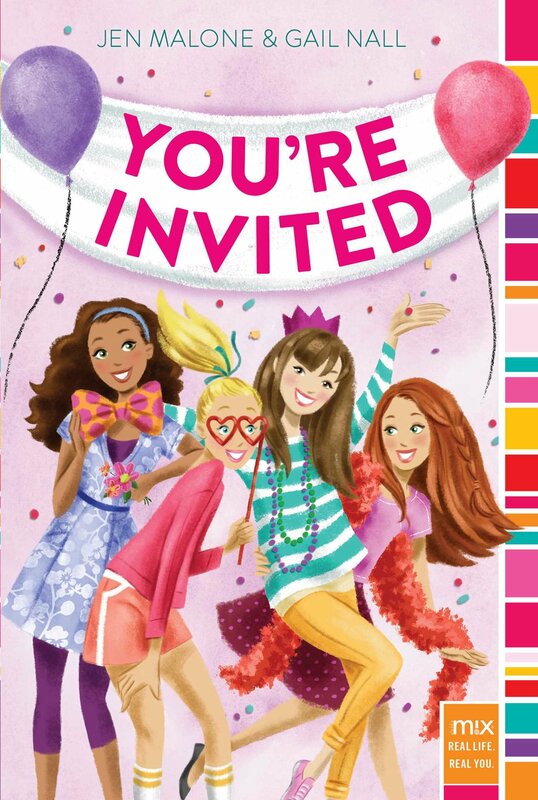 YOU’RE INVITED by Jen Malone has a new cover design and will publish on May 19, 2015! Add it on Goodreads! Available for Pre-Order! 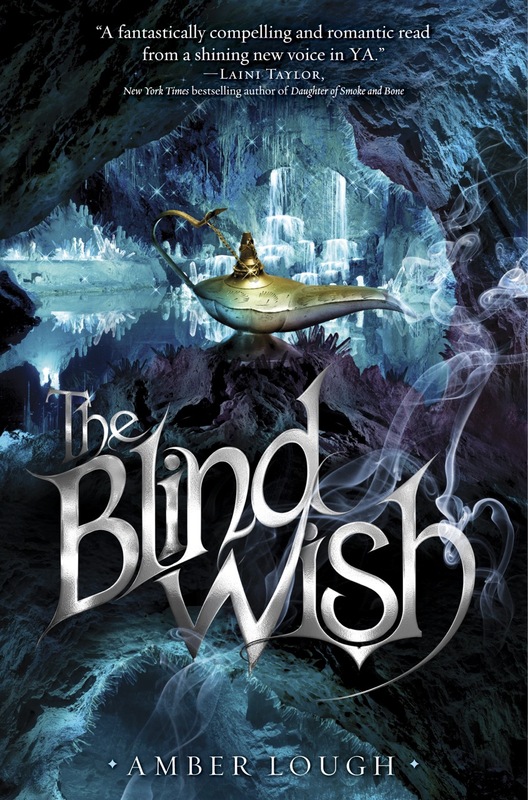 THE BLIND WISH, a sequel to THE FIRE WISH by Amber Lough, will be released in 2015! THE WAY OF THE WOMBAT: Quest For Gray Ironbark, a new middle grade by AdriAnne Strickland will be released February 2, 2015! Thank you for following us through this amazing debut year!! I, for one, feel beyond privileged to have been a part of such a talented and awesome group of creative individuals and I know I’ll be keeping an eye out for their future endeavors! So it’s not really goodbye – it’s more like Catch Ya Later!! Keep Reading!! Robin Constantine is a born and raised Jersey girl who moved down South so she could wear flip-flops year round. She spends her days dreaming up stories where love conquers all, well, eventually but not without a lot of peril, angst and the occasional kissing scene. Her YA debut, THE PROMISE OF AMAZING, is out now! Balzer + Bray/HarperCollins Publishers. Next Book News! This Month with Even More OneFour Book News! IT’S A ONEFOUR SUMMER GOOD NEWS EXTRAVAGANZA! This month we’re combining the Next Book News with our updates about how our debuts are doing for a big ol’ festival of book goodness. Skila Brown sold another book! From the author of CAMINAR, Skila Brown’s WITH THE END IN SIGHT, told from a 19-year old’s point of view, one of the survivors from the ill-fated Donner party, about her family’s wagon train journey from Lacon, IL to the Sierra Nevada Mountains in 1846, to Liz Bicknell at Candlewick, by Tina Wexler at ICM (World English). Skylar Dorset has an official title! 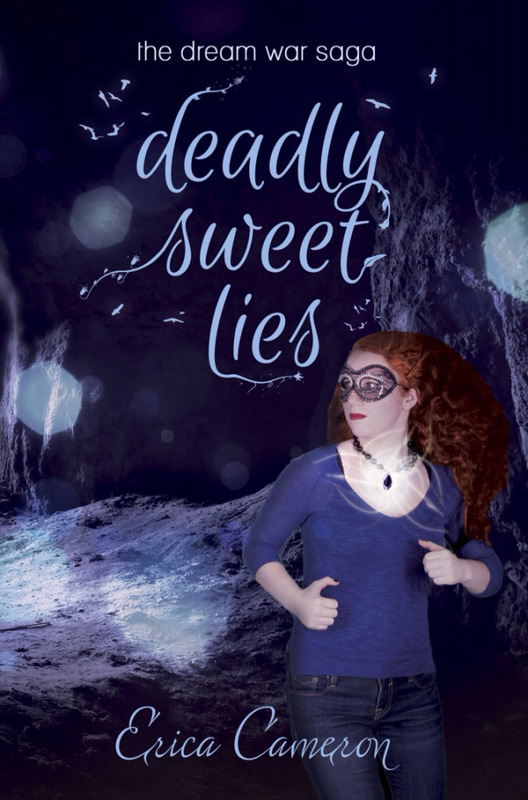 Erica Cameron has a sequel cover! More sequel news from Stephanie Diaz! REBELLION, the sequel to EXTRACTION, will be released February 10, 2015. Jen Malone sold more books! Jen Malone’s YA debut WANDERLOST, in which a teen girl agrees to impersonate her older sister and fill in for her as a summer tour guide for a senior citizen bus trip through Europe; when their carefully constructed plan derails before she even makes it out of the airport and the tour owner’s cute son joins as a surprise guest, she’ll put her acting skills to the test, to Annie Berger at Harper Teen, in a two-book deal, by Holly Root at Waxman Leavell Literary Agency (World). Rebecca Behrens sold another book! Jordan Hamessley at Egmont USA has bought North American rights to The Summer of Lost and Found, a middle-grade novel by Rebecca Behrens. In it, a girl’s father mysteriously disappears and her botanist mother drags her to Roanoke Island for a research trip, where she decides to solve the mystery of the Lost Colony. It will publish in spring 2016; Suzie Townsend at New Leaf Literary & Media brokered the deal. Nicole Maggi has a cover! 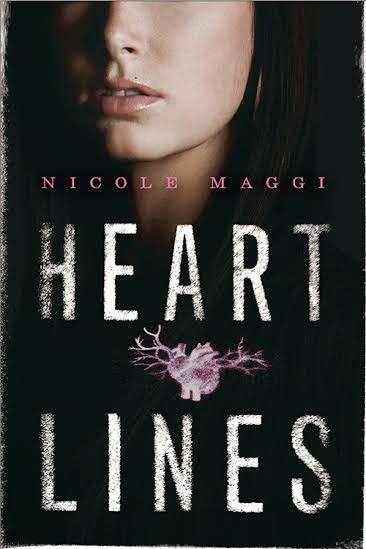 HEARTLINES is a standalone thriller coming February 2015 from SourceBooks Fire. An exciting new thriller from Nicole Maggi about a girl whose memories are slowly being taken over after a heart transplant from a murder victim. Georgie Kendrick wakes up after a heart transplant, but the organ beating in her chest doesn’t seem to be in tune with the rest of her body. Why does she have a sudden urge for strawberries when she’s been allergic for years? Why can’t she remember last Christmas? Driven to find her donor, Georgie discovers her heart belonged to a girl her own age who fell out of the foster care system and into a rough life on the streets. Everyone thinks she committed suicide, but Georgie is compelled to find the truth—before she loses herself completely. Publishers Weekly says that AdriAnne Strickland “raises questions of identity and belonging” in her “fast-paced debut,” WORDLESS! Read the full review here. Congratulations to the following OneFour authors recently nominated for YALSA’s Best Fiction for Young Adults list: BREAKFAST SERVED ANYTIME by Sarah Combs, CAMINAR by Skila Brown, FAKE ID by Lamar Giles, SEKRET by Lindsay Smith, A MAD, WICKED FOLLY by Sharon Biggs Waller, and THE VIGILANTE POETS OF SELWYN ACADEMY by Kate Hattemer. GILDED by Christina Farley was nominated for the Morning Calm Award in Korea in the high school division. Booklist says of Tracy Holczer‘s, THE SECRET HUM OF A DAISY, “Readers who appreciate the quiet confidence and maturity of Cynthia Rylant’s, Patricia MacLachlan’s, and Katherine Paterson’s protagonists will find a new author to enjoy.” It’s also an Indie Next Pick for summer, and was recently featured in the San Francisco Chronicle. Lori M. Lee‘s GATES OF THREAD AND STONE sold World French rights to AdA. The Indonesia publisher Fantasious has purchased the Bahasa translation rights to Danielle L. Jensen‘s STOLEN SONGBIRD and HIDDEN HUNTRESS!